Zero-carbon economies must come. But need millions suffer first? A personal, global story. 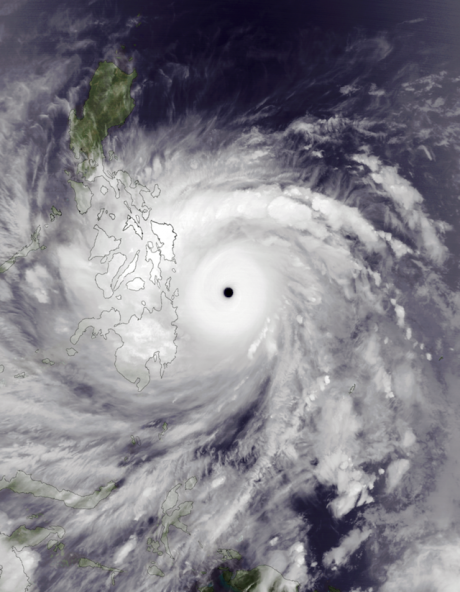 Typhoon Haiyan at peak intensity and approaching the Philippines on November 7, 2013. Wikicommons/NASA file. Some rights reserved. While working in tropical crop research in east Africa in the late 1960s I got interested in issues of resource conflict over food, energy, and strategic commodities. It was a bit of a change from my own science background in plant pathology, and one result was that I hoped in the future to work more in the field of environmental security. Back in the UK in 1971, I was lucky to do this by getting a post at one of those newly designated and expanded urban technology colleges, the polytechnics. This was a period of relatively well-funded educational initiatives, included the pioneering Open University, that owed a lot to the Labour government of 1964-70. The group I joined at Huddersfield Polytechnic (now a university) was aiming to develop a new kind of interdisciplinary degree in what it termed “Human Ecology”. The programme combined ecology, economics, politics, and human health studies, and also brought in the expertise of geographers, architects, planners and others, working together in a manner then not too common even in the new “polys”. The Huddersfield degree was distinctive in another way: all students spent the whole of their third year in a placement in relevant employment, able to apply what they had learned and making them a lot more employable when they graduated. One of the courses I taught was on global ecosystem, or biosphere, studies. It included lectures on the various biogeochemical cycles (nitrogen, water, carbon, etc.) which underpin much of the workings of natural and human-affected processes. When moving office not long ago I came across some old lecture material. There was one set on The Carbon Cycle, which included notes on the steady increase in carbon dioxide in the atmosphere through the burning of fossil carbon – and its possible impact on climate. This was in 1973, all of forty-five years ago, when most of the interest in environmental problems was on the impact of pesticides, land dereliction, air and water pollution, and resource depletion. But things were moving: the publication of the seminal The Limits to Growth in 1971 did much to provide a global context, and this was augmented in June 1972 by the United Nations Conference on the Human Environment (UNCHE) in Stockholm, the first big UN meeting on the theme. By the end of the decade, climate change was entering the political agenda, at least in a small way, as new climate models were beginning to confirm early fears. The idea of global impacts was supported in 1983 by confirmation of the specific problem of CFC damage to the ozone layer. Since that threat was so substantial and immediate, and because CFCs could be replaced quite easily, the “ozone-hole” issue resulted in rapid action in the form of the Montreal protocol of 1987. That said, three decades on the problem is only just receding in severity. Climate change is singular in many ways. It is not down to one particular group of chemicals with limited if useful functions that can be readily replaced. Rather, it is concerned with a fundamental element in modern society: the combustion of fossil carbon (coal, oil, gas) as the primary energy source. The evidence for human-induced climate disruption gathered over several decades is now overwhelming. But there remains rigorous opposition from climate deniers, often supported by neoliberal wealth in many different guises. Underlying this stance is awareness that market forces are incapable of diminishing the risks from climate disruption – the huge tasks involved can only be met by strong intergovernmental action. But to the deniers and their neoliberal backers, this is ideologically unacceptable. That central problematic persists, but the times they are a' changing, as the direct evidence becomes ever more obvious. An early impact of climate change is a more energetic atmospheric-oceanic system leading to more severe weather events, an experience now visible for all to see. What were once 100-year severe weather events are now ten- or twenty-year events, with records being broken all the time (see "Floods, climate, and neglect: a reflection", 30 December 2015). Typhoon Haiyan, which hit the southern Philippines in November 2013 (and is known there as Yolanda), had the highest ever recorded speed at landfall, and in spite of plenty of warning killed 6,300 people. In a single month in 2017, central America and Caribbean islands were struck by three Category 5 hurricanes. In the middle two months of 2018, a unprecedented concentration of heatwaves has enveloped most of the northern hemisphere (see "A climate emergency", 10 January 2014). These represent not one “canary in the coal mine”, but multiple. Will this be recognised and contribute to a hugely accelerated global response? Don’t hold your breath, but do look around for positive developments. There are remarkable and accelerating innovations in the use of renewable-energy resources, where solar and wind power quite often comes in below grid parity with fossil carbon exploitation. In addition, perovskite-based and hybrid systems in solar-power use may now be coming of age. Some of these advances were discussed in a column published almost exactly two years ago (see "Climate science: revolution is here", 11 August 2016). It's also significant that the term “hothouse Earth” has suddenly caught on, and that the idea of runaway climate disruption is covered in the media in some depth – even by newspaper that have long been impregnable citadels of climate denial. The weekly Economist for many years provided copious space to climate sceptics, but its coverage has shifted markedly: the cover story of its latest, 4 August, edition is about the failure to respond to climate change. 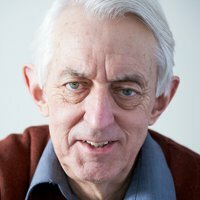 To put this in a wider context, political analysts of climate change have argued for some time that essential, radical moves towards zero-carbon economies will be implemented only after a transformation of political will – but in turn, that this will be triggered only after huge catastrophes, of at least an order of magnitude greater than the above recent examples. If they are right then the future really is bleak (see "Trajectories of the Earth System in the Anthropocene", PNAS, 6 August 2018). It does not have to be that way: if the right decisions are made, the sequence can be reversed and terrible human suffering avoided (see "The global climate cliff", 18 July 2013). But renewal of political attitudes, plus sustained and determined campaigning, are essential. Just as with the respose to the ozone crisis, it can be stated with reasonable confidence that the necessary intergovernmental action will happen, and that it needs to be revolutionary in extent. In itself that is a genuine, positive change. So the issue now becomes: how soon?